Protects your privacy and makes your computer faster and more secure! 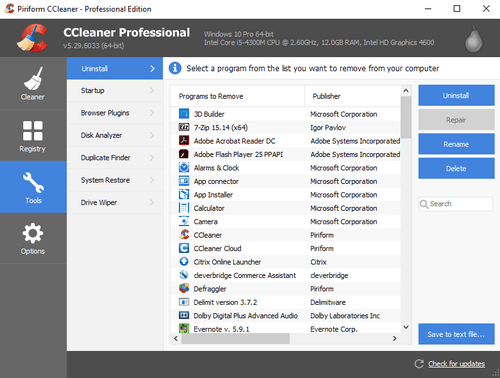 CCleaner Professional keeps your PC clean… automatically! CCleaner Professional is the most powerful version of our award-winning PC cleaner. It speeds up a slow computer and keeps your activity private — automatically and in the background.